Everyone appreciates a good list! TeachMideast presents nine significant developments in the region from 2018. What did we miss? 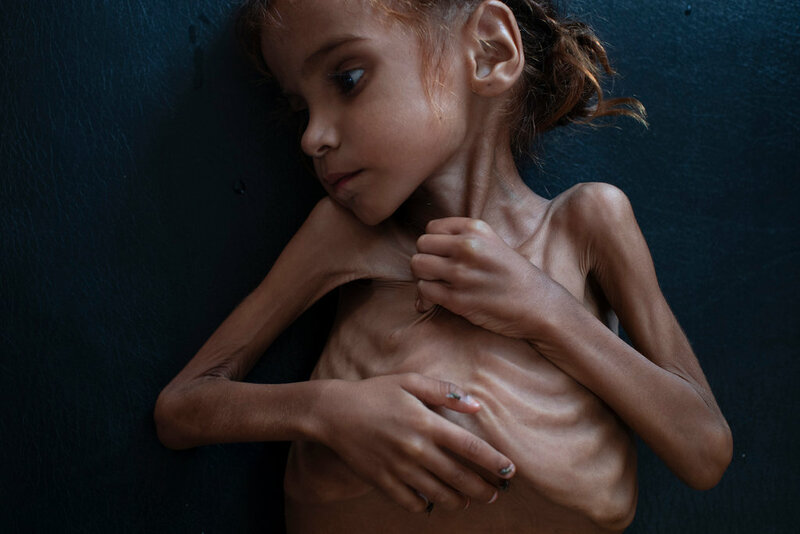 In 208, the United Nations called the war in Yemen the world’s worst humanitarian crisis. The facts are sobering: 75 percent of the population is in need of some form of aid; 60 percent is food insecure; 56 percent do not have access to basic healthcare; 79 percent live in poverty (an increase of 30 percent from just last year). Over the summer, the Saudi-led coalition’s fight to control the key port of Hodeidah led to a 164 percent increase in the number of civilian casualties. Beginning on March 30th, Palestinians in Gaza hold weekly protests along the fence separating the territory from Israel. The protests are held in support of the declared right of Palestinian refugees to return to their ancestral homes in what is now Israel. By October, at least 217 Palestinians had been killed by Israeli troops since the protests began, according to the UN and Hamas-run health ministry in Gaza, while one Israeli soldier has been shot dead by a Palestinian sniper. Israel says its forces have only opened fire in self-defense or against would-be attackers trying to infiltrate into Israel under the cover of the protests. Protesters later employ incendiary kites in their confrontations with the Israeli troops, which result in the scorching of thousands of acres of Israeli farmland. This past year, Donald Trump made good on a campaign promise to take a harder stance against Iran. Notably, in May, he pulled the United States out of the Obama-era Joint Comprehensive Plan of Action. Iranian consumers have already seen the effects of the reinstated sanctions; prices in Iran are rising, especially in the case of imported goods which, unlike daily necessities, are not subsidized by the government. The administration began unrolling sanctions in August, and on November 5th, announced its largest ever single-day action targeting the Iranian regime when the U.S. Department of the Treasury’s Office of Foreign Assets Control (OFAC) sanctioned more than 700 individuals, entities, aircraft, and vessels. The stated purpose of the sanctions is to disrupt the Iranian regime’s ability to fund its range of malign activities. This screenshot from The Washington Post shows a side-by-side still image captured from a short video. 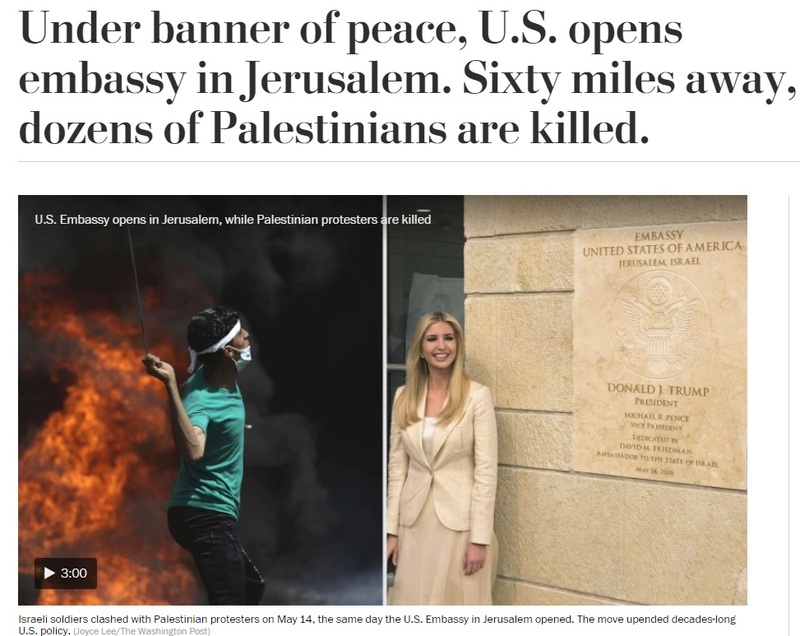 of a short video image of a Palestinian protester in Gaza next to another of Ivanka Trump unveiling a plaque at the new location of the American embassy in Jerusalem. On May 14th, print, digital and network media reported on the relocation of the American embassy in Israel from Tel Aviv to Jerusalem. The Washington Post, like many, used side-by-side images or videos to contrast the jubilation surrounding the inauguration ceremony in Jerusalem with violent clashes between Israeli forces and Palestinian protesters in Gaza. The image aptly captures dissonance between political rhetoric and daily reality on the ground regarding the Arab-Israeli conflict. On June 4th, Saudi Arabia began issuing driver’s licenses to women after a decades-long ban. The move was orchestrated by Crown Prince Mohammed bin Salman, who ordered a number of changes throughout the year to improve life for Saudis, while simultaneously clamping down on dissidence, competition and criticism. For example, the announcement to lift the ban followed the detention of a number of Saudis who had campaigned for women’s rights. Several activists, male and female, remain in detention for crimes such as undermining the security and stability of the kingdom. Nonetheless, many Saudis have applauded what they say are efforts to make life more enjoyable. 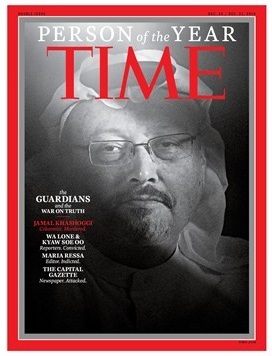 On October 2, Jamal Khashoggi, a Saudi Arabian journalist for the Washington Post, was killed inside the Saudi consulate in Istanbul. At first, Saudi officials claimed that Khashoggi had left the consulate and said they had no knowledge of where he went afterwards. However, the steady leakage of information from Turkish sources eventually forced the Saudi government to admit that Khashoggi died inside the consulate. Their stories of how the death occurred shifted over time, from an accident at the end of a fight to a hit ordered by rogue operatives. The Turkish government released audio recordings of the murder and the subsequent dismembering of the body to interested government agencies, including the CIA. It is widely believed that Mohammed bin Salman, the crown prince of Saudi Arabia, was responsible for ordering the killing. The U.S. Senate passed a resolution holding him personally responsible. The extrajudicial killing of a dissident in a diplomatic building shocked the world, but it remains to be seen whether the scandal will have long term effects on Saudi Arabia’s international relations. Fallout from the Khashoggi murder brings renewed international attention to the Saudi role in the crisis and pressure builds on the Trump administration to end military support of the kingdom’s efforts against rebels. In November, officials announce the U.S. will stop refueling coalition planes heading to Yemen, a break from his usual pro-Saudi stance. Images of starving children have increased a worldwide desire to see an end to the conflict. Negotiations help facilitate the movement of aid through the port of Hodeidah — a focal point of contention in the conflict — take place in Sweden in December alongside discussions regarding other major issues between the parties. 2018 saw a notable warming in relations between Israel and the Arab Gulf countries. Currently, the Arab world, apart from Jordan and Egypt, does not officially recognize Israel. The Arab Peace Initiative, signed by all 22 members of the Arab League in 2002, states that regular diplomatic relations can only exist between the league members and Israel when Israel withdraws from the Palestinian land captured in the 1967 war. Despite this policy, Arab leaders have been meeting with top Israeli officials. In October, Israeli Prime Minister Benjamin Netanyahu was warmly welcome to Oman by Sultan Qaboos. Since then, Israeli officials have also visited Abu Dhabi and Dubai. These new developments have drawn concern and criticism from Palestinians, especially as other countries like Bahrain and Sudan are expected to follow Oman’s lead. Israeli and the Arab countries In Marchsee a common enemy in Iran, and it is believed that a fear of Iran is driving the thaw in relations.